2. We did a series of stories stemming from our human dimensions research program. We learned that Oregonians have very different perceptions of marine reserves, depending on where they call home. “A Fishing Perspective” examined some of the effects of marine reserves on the fishing community in Garibaldi, Oregon. 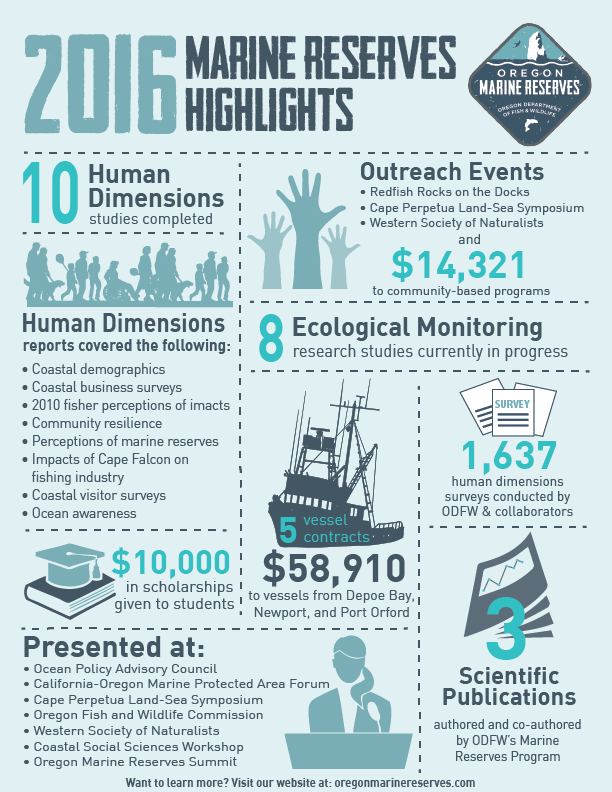 And if you’ve ever wondered who is visiting the marine reserves and why, this was the basis for a human dimensions study that we reported on just this past November. 3. 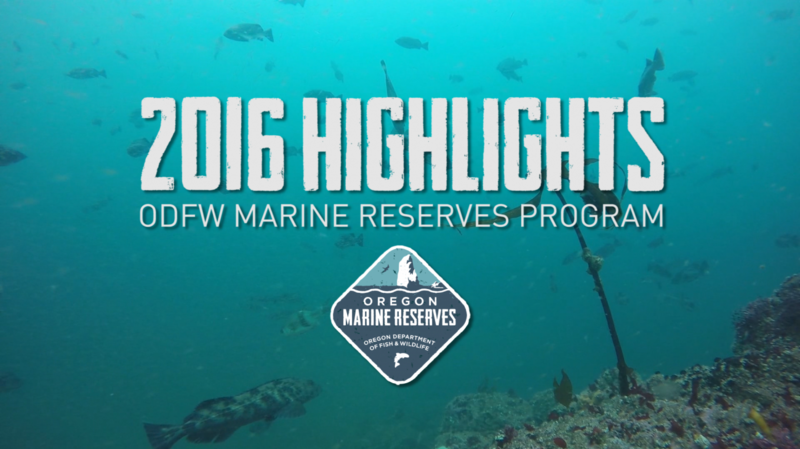 Beyond the research being conducted by the ODFW Marine Reserves Program, marine reserves have attracted additional research that is helping us learn more about the nearshore ecosystem and informing ocean management. We highlighted some of this research being conducted on seabirds and ocean acidification. “For The Birds” examined 3 seabird studies on the central Oregon Coast led by Oregon State University, the Audubon Society of Portland, and ODFW. Seabirds are an important ecosystem component and the central Oregon coast is a hotspot for seabird nesting. “Souring Seas” covered efforts by Oregon State University, Surfrider Foundation, and local volunteers to better understand, and educate people via citizen science, about ocean acidification. 4. Underwater video research is a large component of our ecological monitoring work. We had a series of stories that covered video research, including why we use underwater video in our research. We even captured an upwelling event on camera – read, “Plankton’s Playground, ” to find out and see what actually happens during this annual oceanic event! We also highlighted the dual “stereo” camera systems we are testing to see if we can more accurately determine fish lengths in some of our surveys. 5. Marine reserves depend on enforcement and compliance, otherwise they are simply “paper parks” with lines on a map. The compliance rates have been relatively high among Oregon’s reserve sites. See “What’s Working,” to learn more about enforcement efforts.